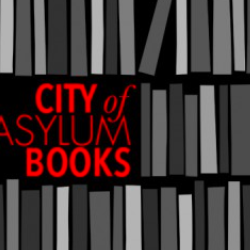 Jazz Poetry Concert, hosted by City of Asylum Pittsburgh, is one day away. 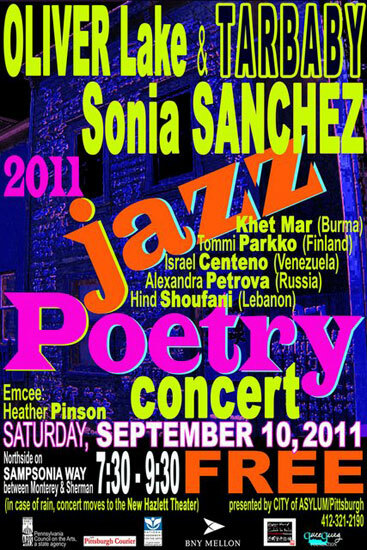 Tomorrow, Saturday, September 10, Northside’s Sampsonia Way alley will be filled by the smooth sounds of jazz and the poignant words of world poetry. This acclaimed concert is a unique opportunity to spend an evening with poet Sonia Sanchez, talented jazz musicians, and some of the world’s best writers. This year’s concert will feature jazz group Tarbaby Trio, made up of Orrin Evans, Eric Revis, and Nasheet Waits. The trio is one of the most innovative ensembles in contemporary jazz, known for inviting a wide array of strong guest performers to collaborate with them. Tomorrow the legendary Oliver Lake will join them on stage. At a recent jazz festival with 55 groups, the New York Times singled them Tarbaby as the best, playing “the set to go home remembering.” Another reviewer wrote, “This is the sweet jovial thunder that you have to hear.” Read on for the musicians’ biographies. 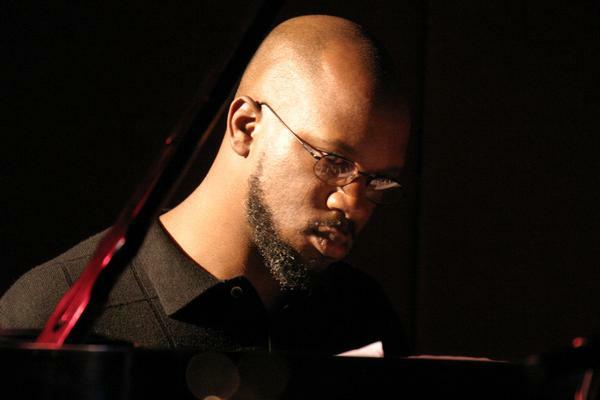 Orrin Evans (piano) was born in Trenton, NJ but raised in Philadelphia. 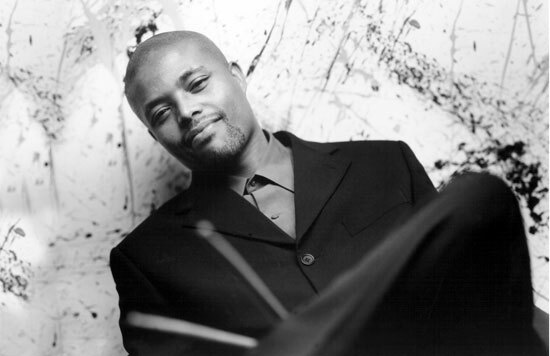 He was among the “Young Lions” of straight-ahead jazz who emerged in the 1990s. His main focus is hard bop, although he has occasionally detoured into soul-jazz and R&B when backing such vocalists as Denise King and his wife, Dawn Warren. Described as “the clear-cut best pianist of his time” by Hot House Magazine, he has released numerous albums on the Criss Cross label. In addition to leading his own bands, he has been playing with the Charles Mingus Big Band for the past three years and has toured with such diverse talents as the evolutionary Wallace Roney, Stefon Harris, and Antonia Hart. 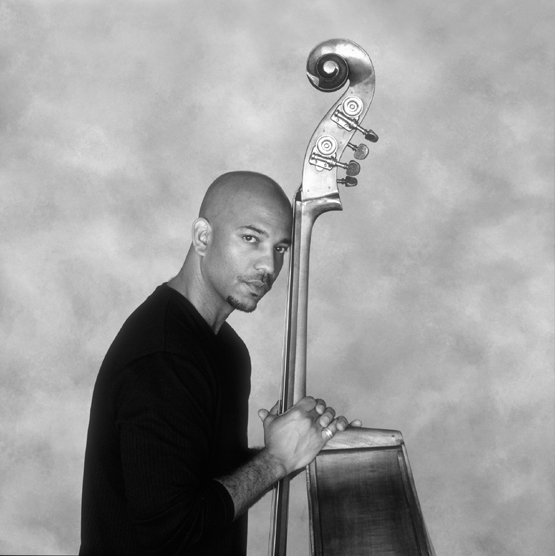 Eric Revis (bass) came to prominence as a jazz bassist with the legendary Betty Carter in the mid-1990s and since 1997 has been a member of Branford Marsalis’ ensemble with whom he won a Grammy. In 2004 he released his debut album as a leader, called Tales of the Stuttering Mime. The deep-running power of his beat along with his potent and gorgeous tone provide his bands a propulsive run of notes that create a “friendly earthquake.” Hailing from Los Angeles, where he was raised on funk and rock and schooled in New Orleans in jazz, he has been praised as one of “today’s true masters” in All About Jazz. Nasheet Waits’ (drums) interest in playing drums was encouraged by his father, legendary percussionist Frederick Waits. His recording and performing discography is a veritable who’s who, boasting stints with jazz notables such as Geri Allen, Hamiett Bluiett, Jane Bunnet, Abraham Burton, Jaki Byard, Ron Carter, Steve Coleman, Stanley Cowell, Stefon Harris, Andrew Hill, Bill Lee, Joe Lovano, Jackie McLean, Mingus Orchestra, The New Jersey Symphony Orchestra, Greg Osby, Joshua Redman, Venessa Rubin, Antoine Roney, Wallce Roney, Shirley Scott, Jacky Terrason, and Mark Tuern. He has recorded and toured extensively throughout the world. 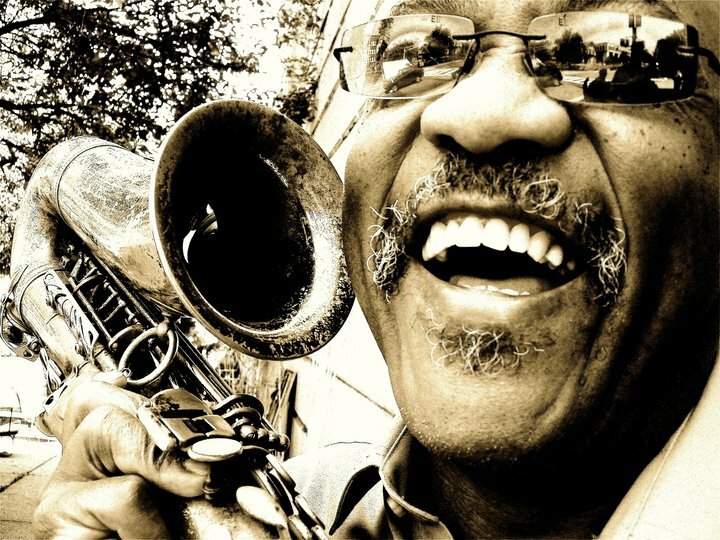 Oliver Lake (saxophone) is the musical curator of Jazz Poetry and has appeared in each concert since 2005, with different accompanying musicians—including the World Saxophone Quartet, his Jazz Quintet with Flux Chamber Quartet, Trio 3, and his Big Band. 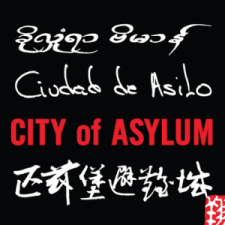 Composer, musician, poet, painter, and performance artist, Lake is a featured artist on more than 50 recordings. He is an explosively unpredictable soloist, known for his piercing, bluesy saxophone trademark. He has created chamber pieces for the Arditti and Flux String Quartets, arranged music for Bjork, Lou Reed, and A Tribe Called Quest, collaborated with poets Amiri Baraka and Ntozke Shange, choreographers Ron Brown and Marlies Yearby and actress/author Anna Debere Smith. The mural on Jazz House at 324 Sampsonia Way is based on Oliver’s artwork. Can’t make it to the concert? Not to worry. 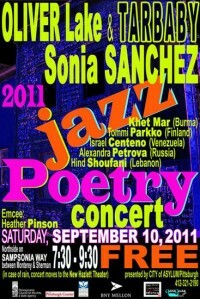 You can view the show live from home at http://www.livestream.com/jazzpoetryconcert and here at Sampsonia Way. Join the conversation on Twitter using hash tag #jazzpoetry.